Hello! My name is Elfie and you guessed it- I am one of Santa’s little helpers! But this year, I am hoping I can be the one who is surprised with a present-my new home! 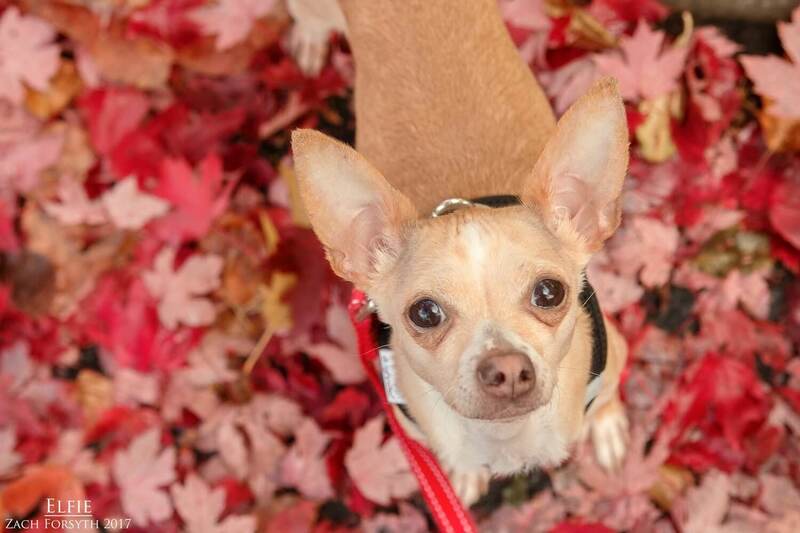 I am a super adorable and tiny 1 year old Chihuahua weighing in around 7lbs. I am very playful and fun gal! Though I do like to chase those awesome squeaky toys, I am not one for fetch. I think I just love chase games in general because that is my favorite thing to do with my puppy pals too! Run around the play yard, stop, play bow, and then off again. I could go on for days! Just kidding. I would miss out on my other favorite thing: affection! In fact, I will even solicit pets by pushing my face into your hand. Kind of like those kitties! Did I mention they could join our party too? Since I am a little elf in a big world, I can sometimes be a little timid and would need to be in a home with kids 12 and up. Sweet, sensitive, fun, and playful, I am a definite bringer of joy and cheer! So fill out an application today and we can set up a meet. I come to you vaccinated, micro-chipped, and spayed with an adoption fee of $350.